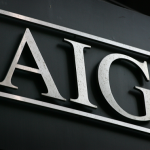 American International Group, Inc is an organization that is into the business of insurance. Its history dates back to early years of twentieth century in Shanghai. Today after multiple events through almost a century, it is one of the most known brands. It had been the 29th largest public company in the world according to the 2011 Forbes Global 2000 list. It had faced a liquidity crisis during the financial collapse in the market in 2008. It faced downgraded credit rating below "AA" level the same year. However, it received a credit facility of $85 billion from the United States Federal Reserve Bank to meet with the crisis and recovered from the same. There are currently 0 consumer reviews about American International Group, Inc available. Share your review. Please take a note that you are about to post a public review about American International Group, Inc corporate office on CorporateOffice.com. This review will be public, so please do not post any of your personal information on this website. If you would like to contact the corporate offices of American International Group, Inc, please use their contact information such as their phone number, website, and address listed above to contact them. However, sometimes staff from American International Group, Inc headquarters do read the reviews on this website.